Gordon Chevrolet maintains close relations with top lenders. We handle your financing professionally and promptly. If you have immediate questions about financing an auto loan, please refer to our Auto Finance FAQ's below or call us. 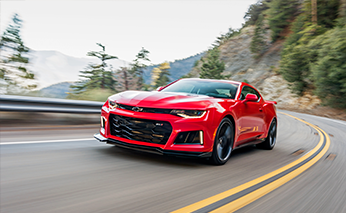 Please think of Gordon Chevrolet's Finance Department as an auto loan resource; our team is knowledgeable enough to educate you on the wide variety of financing options available to you. Sure you can. Getting financed with no money out of pocket and no payments for 30-60 days is a snap. Contact our Finance Team to learn more about your zero down options. Everyone who is signing on the loan should bring a drivers license and insurance card. If you are unsure about your credit, bring proof of residence (a phone or light bill will do). Don't forget to bring your most recent pay stubs, down payment and the title or registration of your trade-in. Many dealerships just look at a number. At Gordon Chevrolet, we look at your whole situation and treat you the same way we treat all of our valued customers, with respect. So even if you have been turned down elsewhere, contact us and Drive Home Happy Today. Click Here to Get Started.